Most small biopsies, such as a breast biopsy or sample taken during a colonoscopy procedure, are completed within 1 day. Some cases require specialized testing that can add 2-4 days. Larger and more complex tissues removed during major surgeries may take up to 7 days for a result to become available. Whom can I speak to if I have a question about my pathology report? We recommend that you start with your own doctor/provider, who may be able to address your questions and explain how the diagnosis affects any further treatment. If you still have a question or concern, you may call to speak to one of our pathologists at 541-770-4559. You may request a copy of the pathology report directly from your doctor or provider. I have a question about my bill. Who should I talk to? Please visit our Billing & Insurance page or call 541-512-0511. Although it seems simple, predicting the cost of pathology services can be difficult. The amount a patient pays depends upon many factors, including the type of insurance coverage, co-pays, and deductables. In addition, some complicated cases require specialized testing in order for the diagnosis to be certain, and it can be difficult to know ahead of time if such testing will be required. However, we are available to discuss possible costs with you before you have a procedure, and we will likely be able to provide approximate costs. In many instances, the case is reviewed by at least two pathologists before the results are reported. However, if desired, your provider can request that your case to be reviewed by one of our sub-specialty pathologists or that your case reviewed by a pathologist at a different institution. Will I be charged for a second opinion?  No additional charges are made if more than one Vista Pathology doctor reviews your case. If your case is sent to an expert pathologist at another institution, the consultant will charge a fee that will be billed to you or to your insurance carrier.